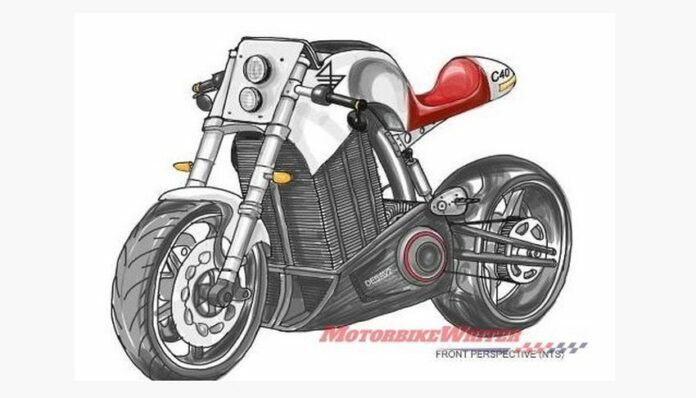 Forkless steering a flexible bumper and airless tyres are just several things that this electric bike made with a 3D printer has, and we could see them in the future. 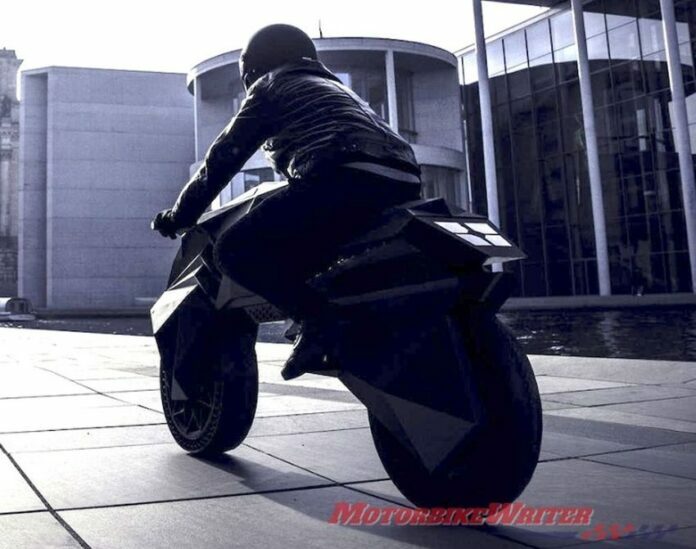 The name of the bike is NERA E-Motorcycle prototype and it was created by NOWLAB manufacturing laboratory that can be found in Singapore, Boston and Berlin. 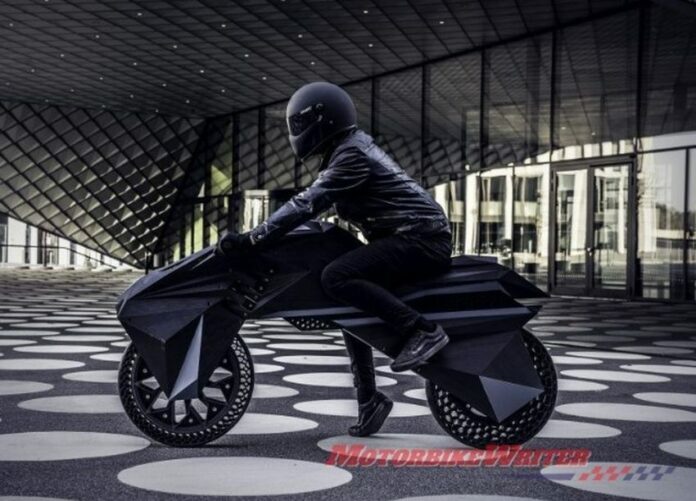 They say that this is the first working e-motorcycle made with a 3D printer, but there have been other bikes, like the one from the Savic Motorcylces Company. 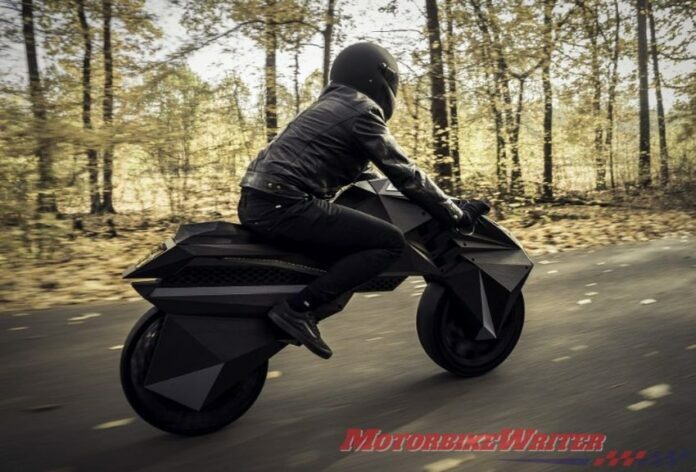 Another thing they claim is that it’s all 3D printed besides the electronics, and because it’s mostly 3D printed it enabled them to put sensors into the frame of the motorcycle. This all makes production cheaper but more expensive to repair. We’ve seen airless tyres before, in bicycles and ATVs which means that bikes are the next step. They should be useful for rough terrain bikes to prevent tyres being blown. Oddly enough the front tyre is much wider than the rear one. 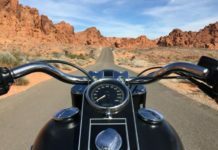 We don’t know why that is, but it could have something to do with forkless steering. The flexible bumper is being used as a replacement for a rear suspension, which is an interesting concept. We always look forward to new advances in the tech field, we don’t think it’s quite there yet.